We are working hard on word problems in kindergarten! At this point in the year, we are working toward our goal of being able to solve addition and subtraction word problems within 10. 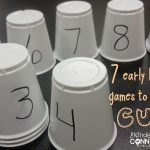 We use a variety of tools during number talks and math workshop such as counting bears, cubes, and even ourselves to practice the idea of adding and subtracting, but I also wanted my kinders to have practice with and exposure to using number lines, ten frames, pictures/words, and equations. So we do both! I love to incorporate seasonal things when I can, so we work through word problems that incorporate fun things about the months or season! 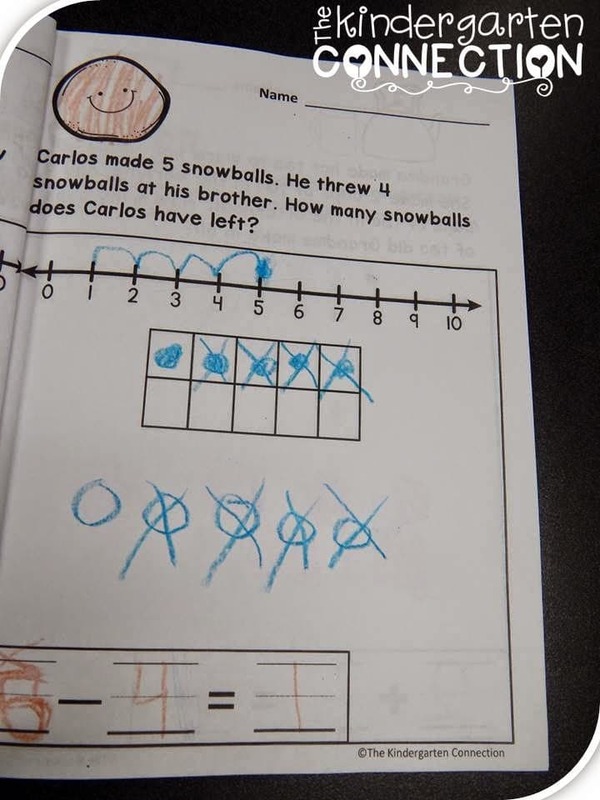 This snowball word problem is from our January journal. 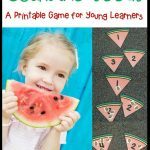 The pages incorporate a much needed number line, ten frame, and equation starter. You can see how this friend frog jumped on her number line to help her solve the problem! I prefer to not hand out word problem pages each day, but to keep them organized in a journal that we work on through the month, then send home. 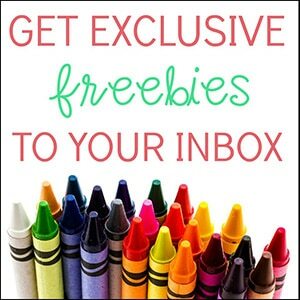 I find that kids treasure these a bit more and love to share with their families. 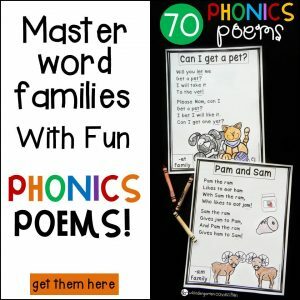 Their parents also love to see the work and progress, rather than just a quick paper that might get thrown out without much reflection. The pages can certainly be used as worksheets or daily practice, but I use a cover and have them as monthly journals. Here is what it looks like when opened – you can see it is a book format. I just printed it all back to back and had the machine do the stapling! 25 word problem packs for the month done in no time! You can see the students draw both pictures or shapes. We talk about how we can draw the pictures if we want (you can see through this page a bit to the people this student drew on the next day’s problem because we used crayon – keepin’ it real for you!) 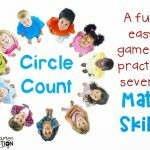 but that also circles, tallies, etc can count – that the point is not our artwork, but that we are using tools to help us solve the problem. They are doing so well and I am very proud of them! 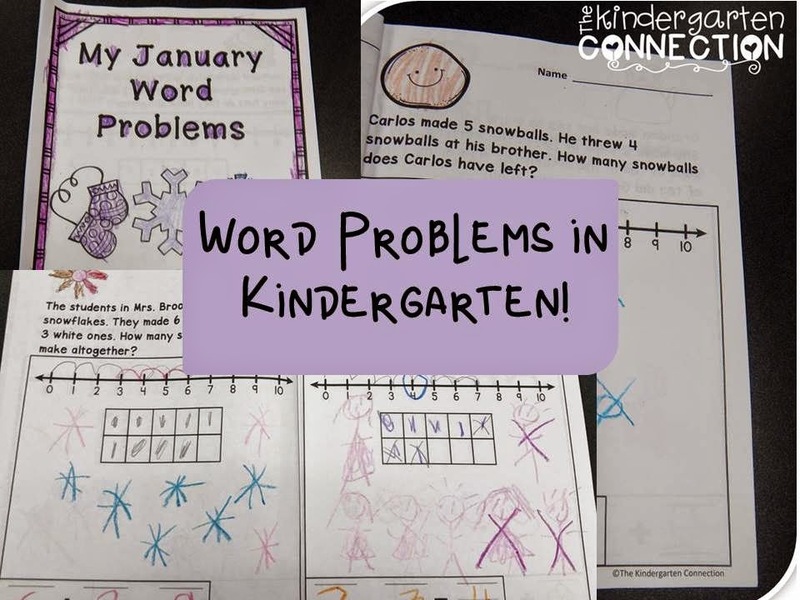 These word problems are part of a monthly series for kindergartners, or any students who are building their beginning addition and subtraction word problem skills! 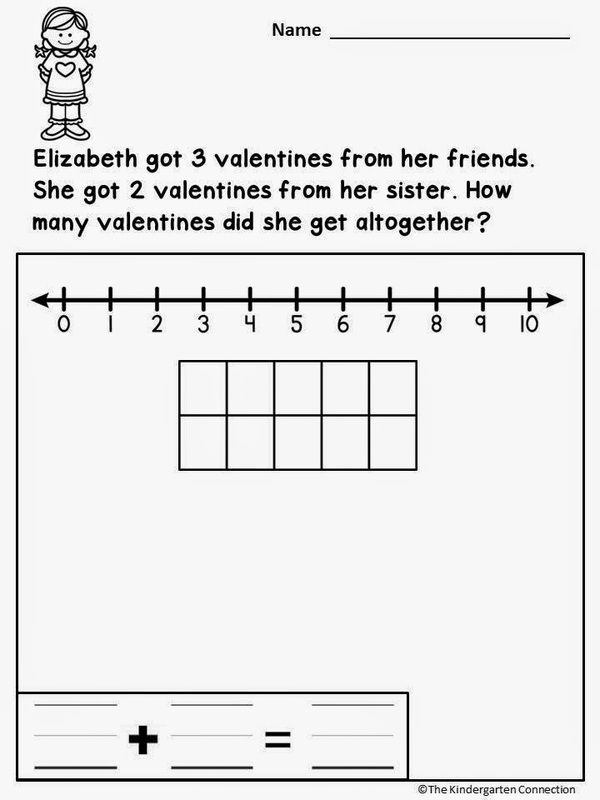 Click on the word problem page below to grab two problems from the February pack for FREE! Hopefully you can find them useful this month! 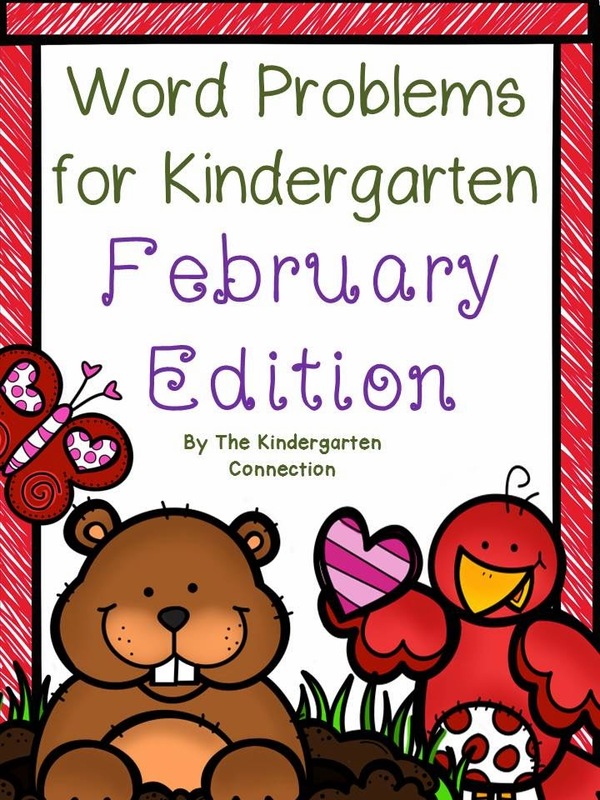 The full pack contains 20 word problems (10 addition and 10 subtraction) for the entire month of February with various topics (Groundhog Day, Presidents’ Day, and more!) 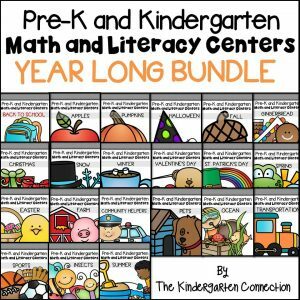 There will be additional packs for each month of the school year. 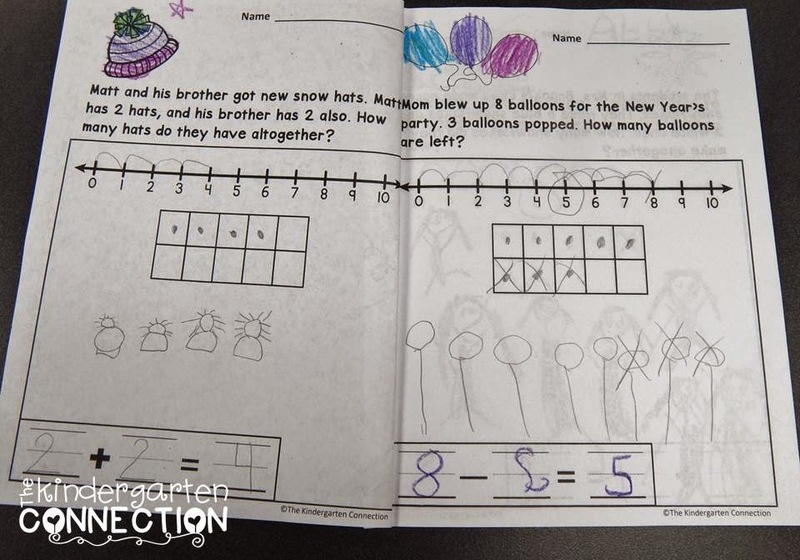 Kindergarten is such a fun – and BUSY- year in math! 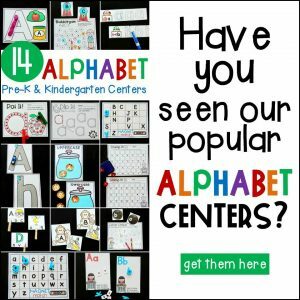 There is so much to do to get our little friends ready to be big 1st graders! We work hard, but we have fun! 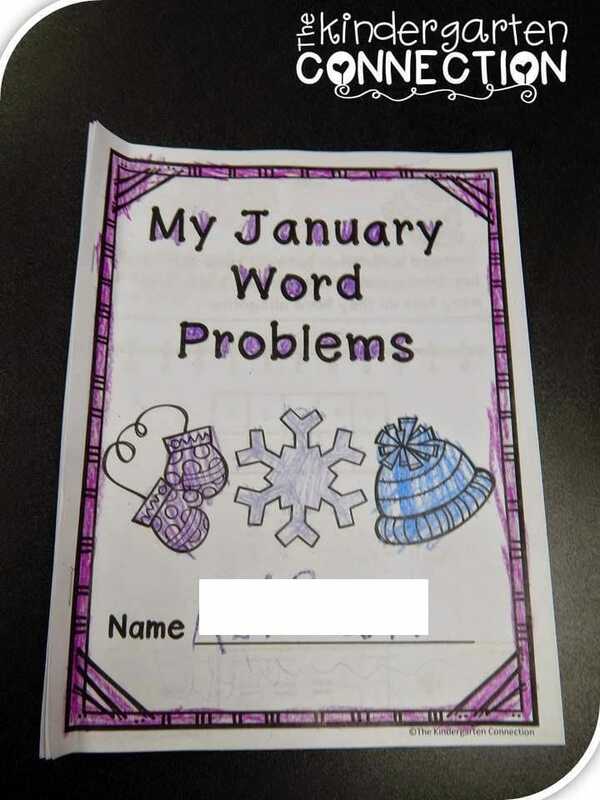 I’d love a copy of your February and January math word problem journals. Do you have them on teachers pay teachers? Hi Joanna! I do have the word problem sets! I have them for the entire year in this bundle .